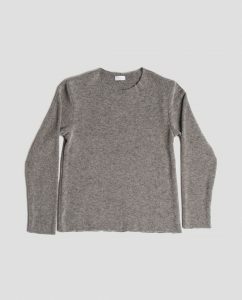 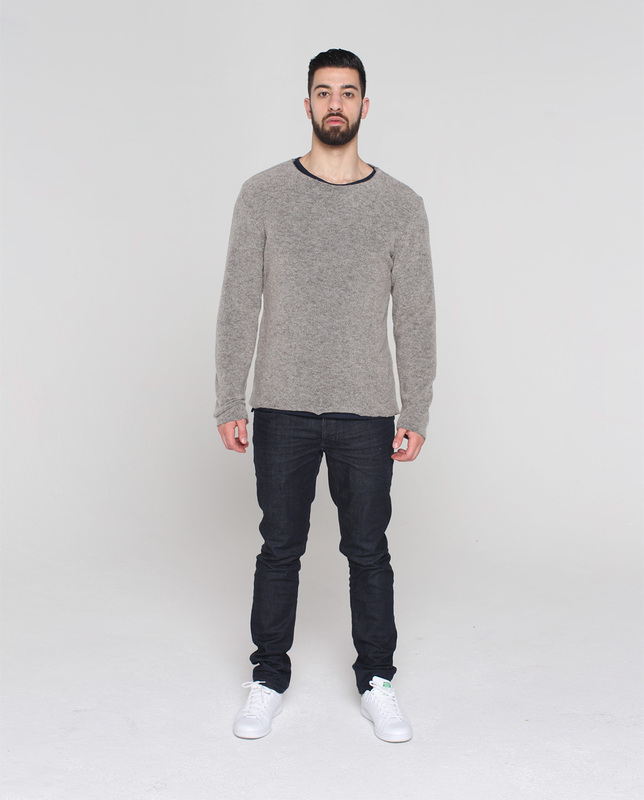 Double washed wool blended sweater. The first wash is meant to make it more dense, the second wash is an enzyme wash, which adds smoothness and minimizes pilling. 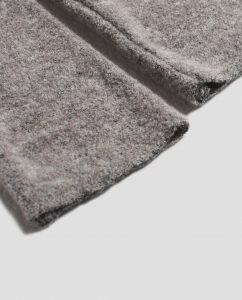 The Japanese wool blend is soft and smooth on the skin. 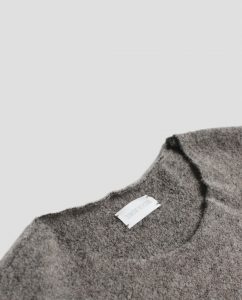 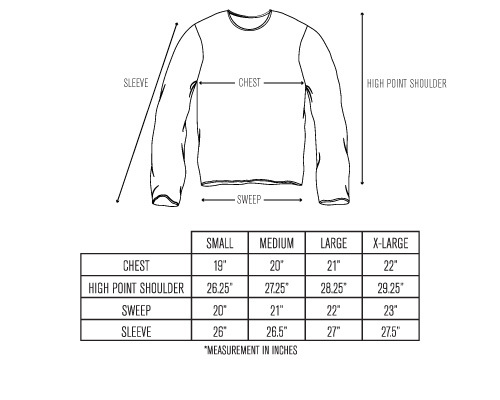 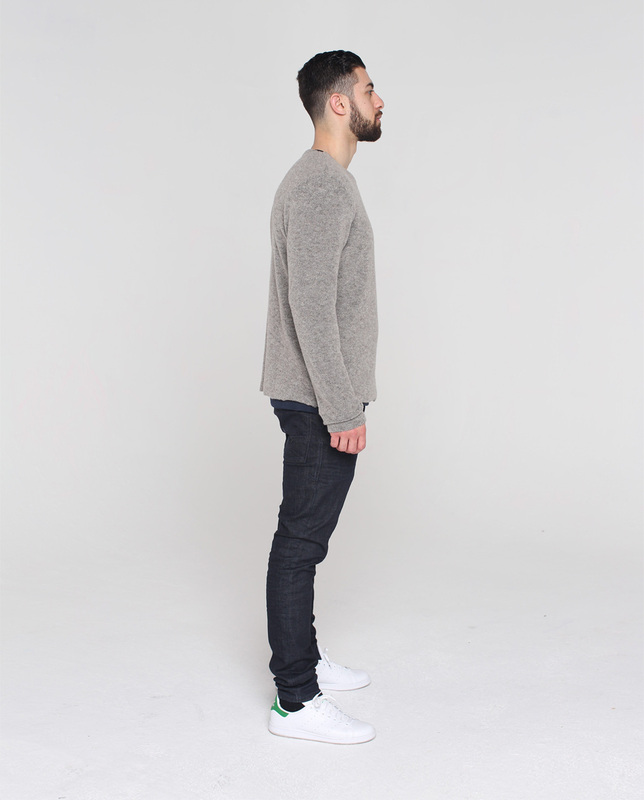 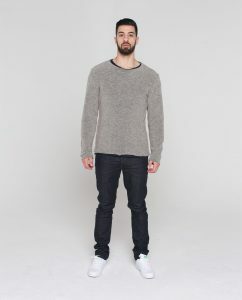 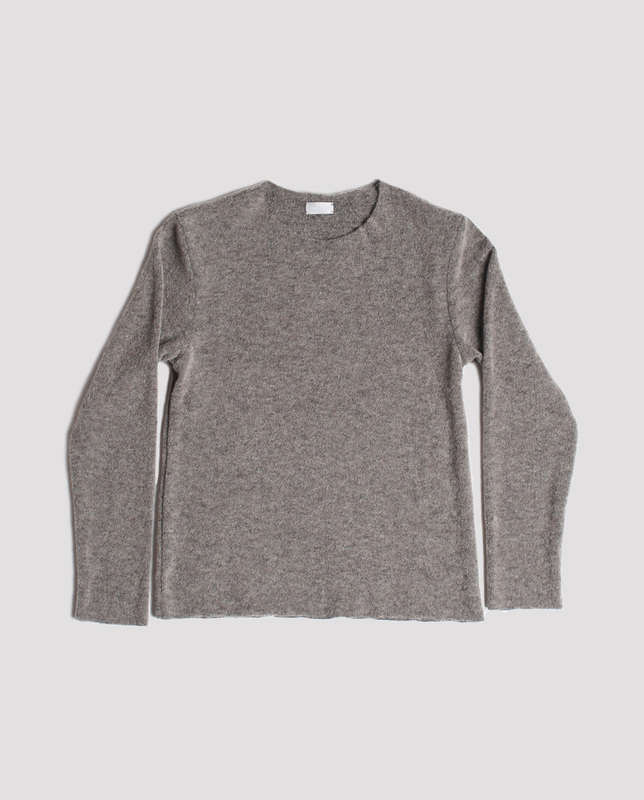 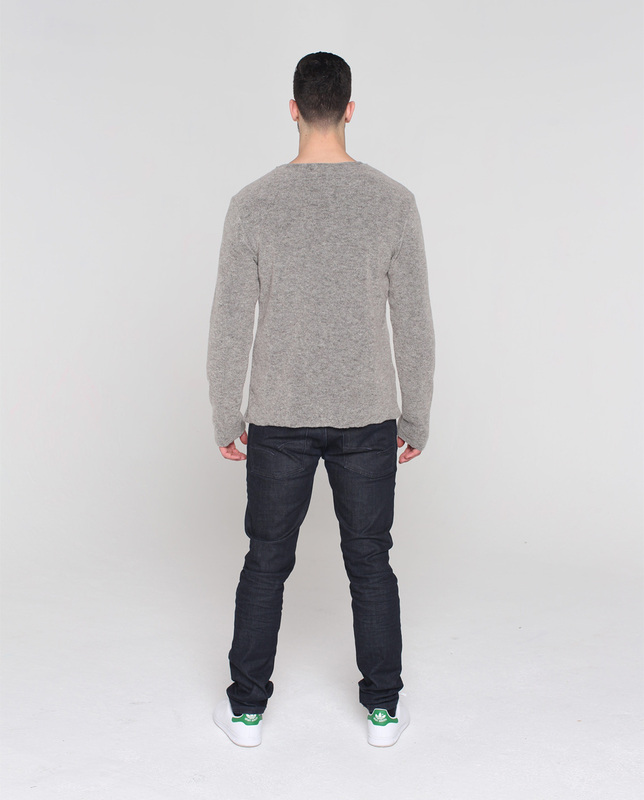 The Winston sweater has a relaxed fit and raw edges at the collar, sleeves, and the bottom hem.